I was playing MLB 2K8 the other day on my Wii. I was the Royals and I was trying to make them a good team. In the game they are the 29th best team. The worst team is the Marlins but that would be to easy to make them good. I went to 2015 and won a World Series with guys like Ryan Zimmerman and Zack Greinke winning the MVP and Cy Young. I played four more seasons till 2019. I actually played one of the games against the Red Sox. Most of the games I just sim. It showed Michael Bowden on the mound for Boston. That got me thanking. What would the Red Sox be like in ten years . . . I see a very young team that is like the Marlins in some ways. The rotation would be great, young, with the experience needed to go all the way. The lineup would have guys all over who could hit the ball every where. There would be homers around the Pesky Pole, doubles off the monster, and singles that would fall for base hits. Players like Jason Varitek, Mike Lowell, and Tim Wakefiled would be a thing of the past. Jeff Bailey, Lars Anderson, and Luis Exposito will be the present. At first base will be Lars Anderson. Anderson will make his major league debut in 2011. His first three seasons will be from the bench but then when Mike Lowell turns 40 and retires Anderson will get the full time spot at third. Over time his home run totals will go up from ten to twenty to thirty to thirty-five in 2019. Most of Anderson’s home runs will be line drives. Unlike some players who golf when they swing Anderson has a very smooth swing. Anderson will improve his eye and will lead the league in walks sometime around 2017. He will not win Rookie of the Year due to the fact that his first few seasons will be played from the bench. However in 2019 he will be in MVP talks. Anderson will have a pretty good OBP and a decent average around .285 in 2019. Anderson will be a lot like Justin Morneau of the Twins once he gets called up. At second it is a no brainer. Dustin Pedroia will still be there. He will be 35 but will still be standing strong. Over the next ten years his home run numbers will increase to twenty in 2014. They will stay like that till 2017 when they will start to decrease. Pedroia will steal more stolen bases as he gets older. In 2017 he will start to decline in that stat along with hits, RBI’s, and OBP. Pedroia will still be the same Pedroia and will be a leader on and off the field. 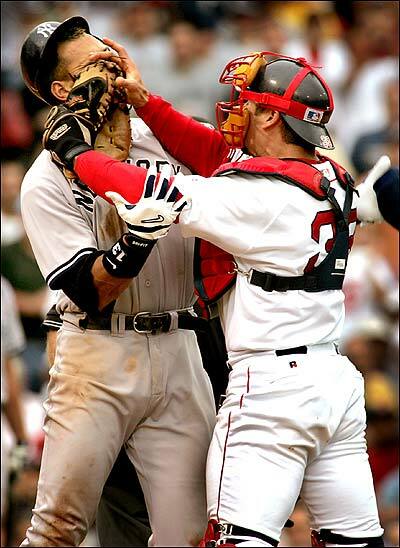 While I am highly doubtful there is a chance that he could become captain of the Red Sox once Jason Varitek retires. Pedroia will make numerous all-star teams and will be the starter at most of them till 2017. Pedroia may have already won an MVP but will still improve till 2017 when he will exit his prime and Boston will probably draft a good talented second baseman. One that will have to follow up a Hall of Fame carer. Shortstop will be Jed Lowrie. Lowrie will never be a power hitter but like Pedroia will get younger legs as he gets older. His carer high for home runs in a season will probably be fifteen but will have an average higher then .300 for his carer along with a high OBP. He will improve his fielding skills and will start to become a leader. Jed will be 35 like Pedroia. He will not though have a Hall of Fame carer like Dusty though. Even though Jed is not the best fielder and could improve his arm he will win around two Golden Gloves sometime around 2013. Lowrie will probably make four all-star games and will start at one. Jed will be a franchise player who will play only for Boston. He will get into the Red Sox Hall of Fame but will not have 3,000 hits or 500 home runs. He will probably have 2,500 hits and 200 home runs for his carer. At third is Youk. Mike Lowell will retire in 2014 when he turns 40. 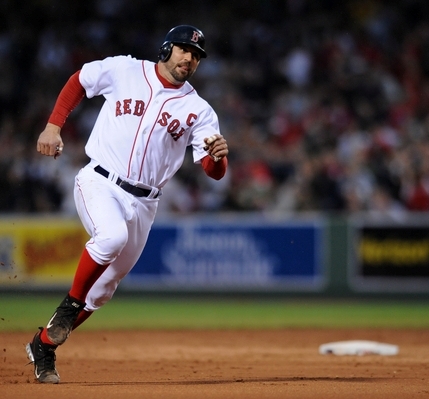 Youk will move across the diamond and Boston will put Anderson at first. Youk will have a great carer. In 2011 he will win an MVP. By the time he turns 40 (which would be in 2019) Youkilis will have had 475 home runs and 2,500 hits. Youkilis will win around five SIlver Sluggers and eight Golden Gloves, six at first and two at third. Youk has a chance to break Ted Wiliams’ all-time care OBP which is .4817. However by then it could be held by Albert Pujols. Youk also has a chance to break Barry Bond’s single season record for OBP which is .609. Youk gets on base what seems like every time. Youk’s offensive carer will be a lot like Jim Rice’s just better and it will only take him thirteen tries to get into the Hall of Fame. Catcher is a problem. 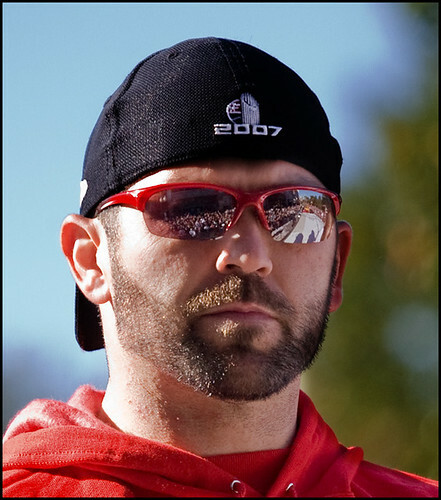 Jason Varitek will most likely retire after 2010 which is the last year of his contract. Boston could have George Kottaras become the everyday catcher. Luis Exposito is promising but is only in A ball. Jarrod Saltalamacchia was nearly traded to Boston this offseason. I believe all three will get the chance the next few years. I believe Boston will traded for Saltalamacchia this offseason. Kottaras will stay as Tim Wakefield’s catcher till Wakefield retires. Exposito though will be the catcher in 2019. Luis Exposito will be 32 in 2019. Exposito is pretty balanced but that is not much of a good thing as he does not hit a ton of home runs but will have a higher average. However he could hit twenty-five home runs in his prime. His arm could use some work when trying to throw out base stealers but is great at blocking pitches. He has a strong arm but could work on his accuracy. From what I know and I do not know much about him he is very popular in the clubhouse and seems to be a fan favorite. He will probably make his debut in 2013 and will start at catcher in 2014. I am not so sure about him but he has five years to prove himself to me. Big Papi will retire at the age of 43 which would be in 2019. Big Papi by then will have made seven all-star games and will have won six silver-sluggers. Big Papi will have hit nearly 500 home runs by then and will hit number 500 in 2019. Big Papi will have had 2,500 hits when he retires. Ortiz will continue to be a fan favorite and after Varitek retires he has a chance to become the captain. However I believe Pedroia is more likely to become captain. Papi will retire with 515 home runs which will be good enough for twenty on the all time home run list. Big Papi will be just like “The Hit Dog” just he is going to get into the Hall Of Fame. After Big Papi retires the job is up in the air. I think Boston will draft a D.H. in the next five years. If he is not ready Jeff Bailey will take over for one season. However I do not think that will be a problem. Whoever does follow Big Papi will have to follow someone who is the greatest D.H. of all time.